- with a carpet of fir boughs inside. 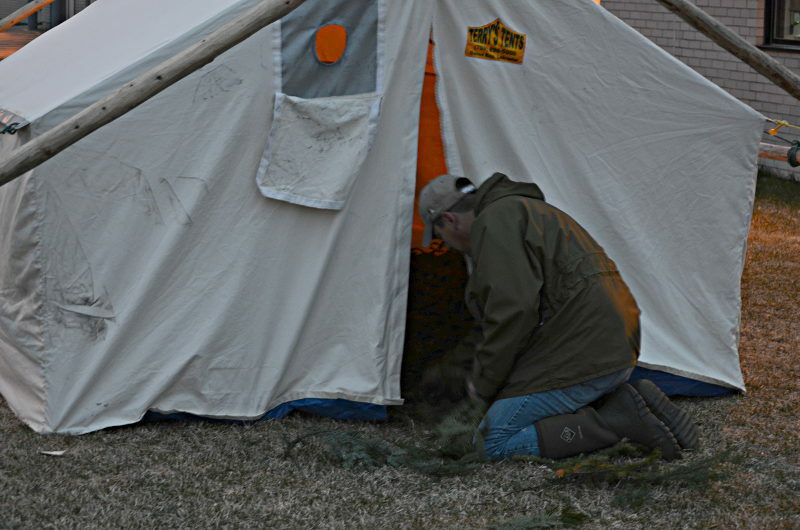 If you are setting up a tent, you should get it done before dark so you can see how to weave the evergreen boughs together to make a warm and comfortable flooring. This tent is almost ready, although the tent stove is not yet in place, as night sets in.